I can’t say I’m the biggest fan of snow. It’s all fun and games at first: the streets end up coated in a pristine white dusting and the trees seem to glitter. Then, the powder turns to slush. The slush turns black. Then it just sits on the sidewalks until it melts away, leaving your shoes wet and dirty and your mood poor. That being said, I don’t mind using snow as an excuse to lounge around all day and watch movies. This Saturday, however, Ben and I did the exact OPPOSITE and we shockingly hit the snowy New York streets. I couldn’t believe how many people were out. 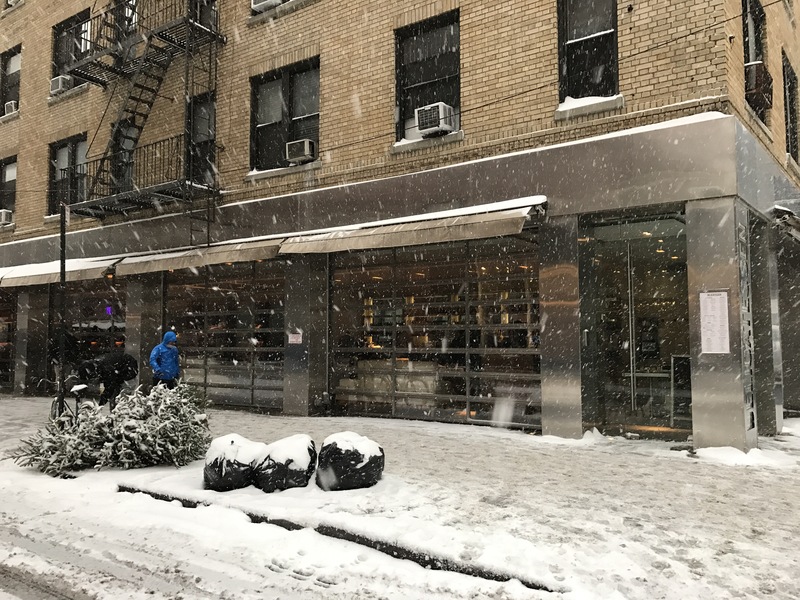 Nobody else seemed to mind the messy sidewalks and streets. 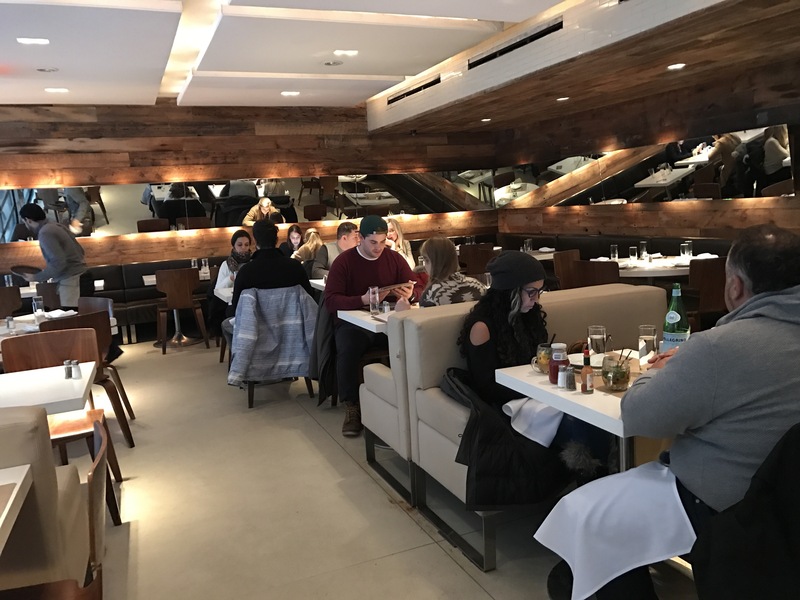 After taking care of some Christmas returns, we took a break from the cold at Delicatessen on Prince Street. We’ve walked past this place so many times, but it has always been mobbed. We were seated as soon as we walked in, so I guess the snow was good for one thing, right? 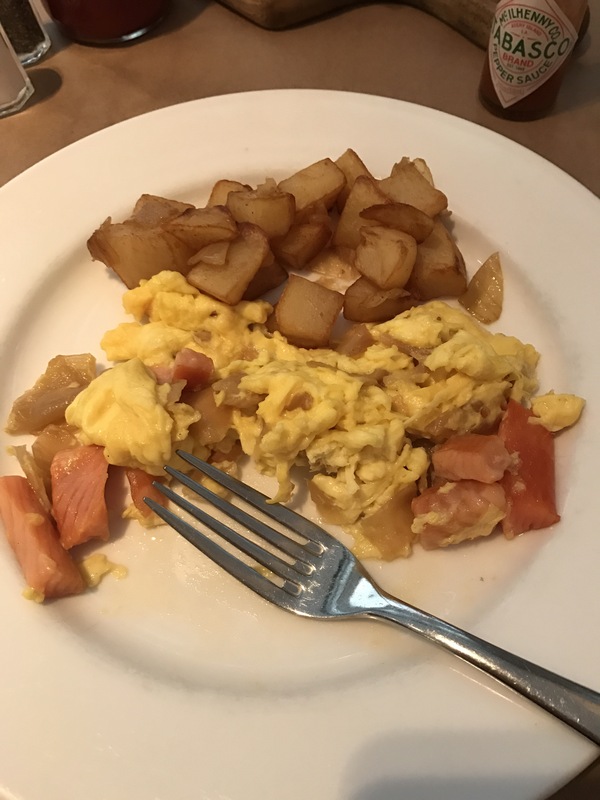 Ben went the brunch route and got the Delicatessen Scramble, which was scrambled eggs mixed with smoked Scottish salmon and caramalized onions. 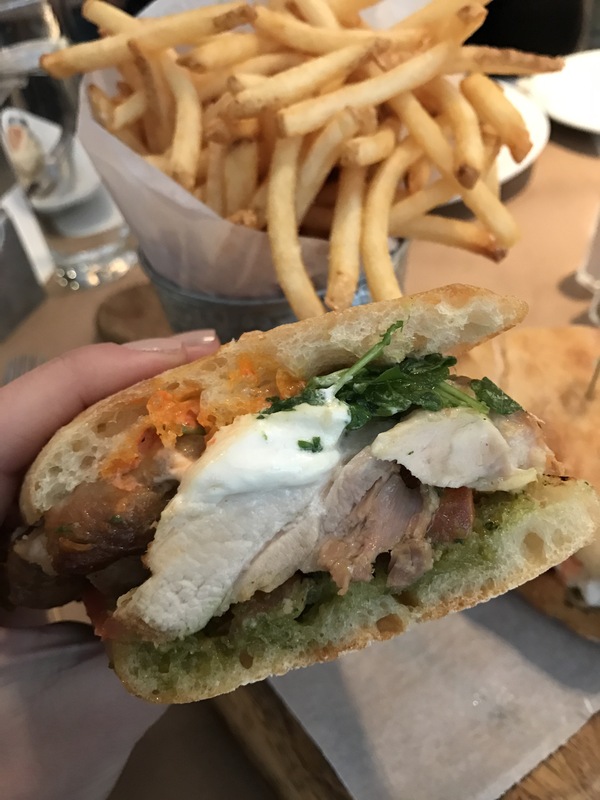 I ended up getting the Award Winning Pan Roasted Chicken Thigh Sandwich, with had olive pesto, sweet pepper aioli, burrata cheese & fries. 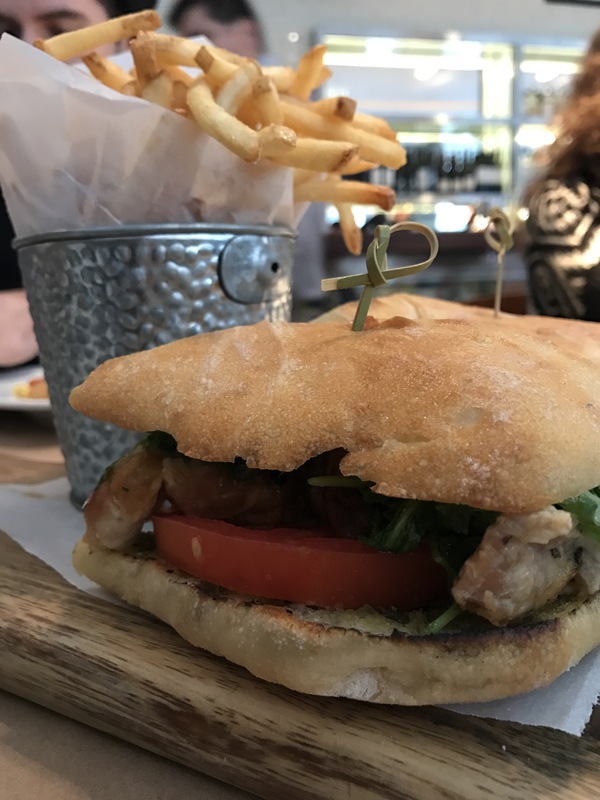 I’m not the biggest chicken thigh fan, but this sandwich was pretty damn good. The cheese and the aioli were my favorite: they were perfect together. If I ever go back, I’ll definitely try the Texas Benedict on the brunch menu, though. Someone at a table near the front door had it and it looked AMAZING. It’s basically a cookout meets traditional eggs Benedict experiment: poached eggs, hollandaise sauce and pulled pork all set on top of brioche bun french toast. Yum! 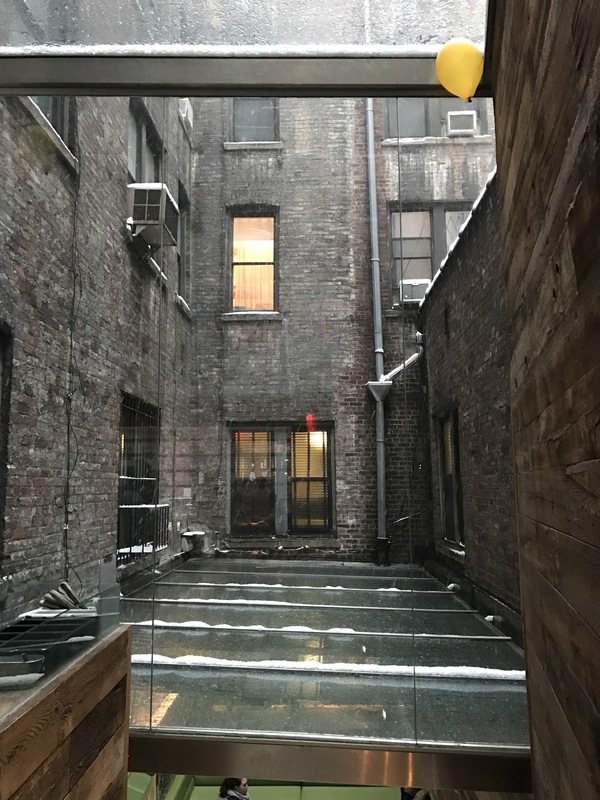 I really enjoyed both the food and the ambiance, so I definitely recommend checking this place out if you’re near SoHo or Nolita. It’s right on the border of both neighborhoods!